A few days later, Carlo “Kuku” Palad, who plays for TNC Predator, typed the same phrase during a public game. On November 3, his team issued its own statement condemning the remark and saying it had given Palad the maximum penalty for his actions. At the time, neither organization elaborated on what the punishments for the players would be. Neither immediately responded to a request by Kotaku for further comment on the matter. It took a few days of this before Valve finally responded on November 10 with a post on the game’s official blog. “The language used by multiple players over the last week has caused many of our fans a lot of pain and is not behavior that we condone,” wrote the company. While strongly condemning its players making racist remarks, Valve did not provide any guidelines for what constituted racist language or what would count as “strong punishments.” The company didn’t respond to a request by Kotaku asking it to do so, or explain what action it would take if a team failed to adequately sanction inappropriate player conduct itself. Other games have taken a much bolder approach when it comes to curtailing hate speech. Rainbow Six Siege, for instance, recently rolled out auto-bans for players who type various racial and homophobic slurs into the game’s all chat. 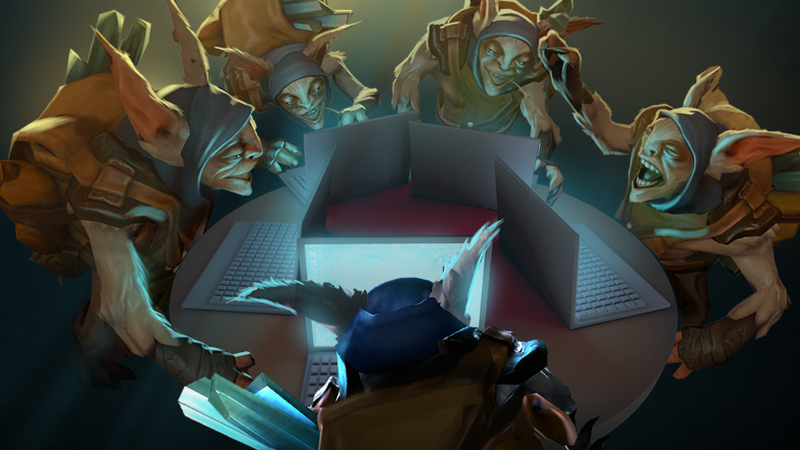 Dota 2’s current reporting system is much more relaxed. Players can report one another for abusive behavior, but there’s nothing that directly targets offensive language. Currently, the Kuala Lumpur major, featuring a $1 million prize pool, is going on in Malaysia, where TNC is in attendance and Palad is playing. Prior to the tournament, TNC publically asked fans on its Facebook page to stop using “derogatory words,” asking them to come together and be respectful rather than using offensive language. Anyone who’s spent any amount of time playing Dota, however, knows that it will require more than well-meaning requests for the community to become less toxic.